the two, this is our fastest-growing department. And it’s only going to get bigger. I have to mention Andrew, the manager of Customer Success. He was patient while I was still learning a lot of simple things that others may have known coming right in. I was given time to get some really thorough training, which made all the difference. Workable helps so many different companies hire, which means I get to speak with lots of interesting and varied people. It’s great. The collaboration in my team is impressive, we all work well together and everyone is willing to help each other out. We did a lot of Sandler sales training both in Boston and in Athens and I’ve adopted a lot of their techniques as a result. It’s really helped my sales process. Look across our team and you’ll see a rich and varied blend of backgrounds and experiences. There’s no one-size-fits-all approach here. Diversity is at the heart of what makes Workable’s Sales team a success. Our products target the needs of a wide range of customers, from many different industries, and all shapes and sizes, so it makes sense that the people who sell and support those products represent a wide range of experiences too. How you approach your role matters: you’ll be energetic, helpful, enthusiastic and motivated; you’ll be committed to succeeding as part of a team, as well as on your own merit. But where you’ve come from, what your background is, doesn’t matter. You’ll be given time and the training you need to make a success of your new role. Whether that’s winning new business, helping existing customers solve their hiring challenges, demoing our products, or creating quotes and packages for potential customers. So get ready to play an important role in supporting us as we meet the challenges and rewards that come with continued high-growth. 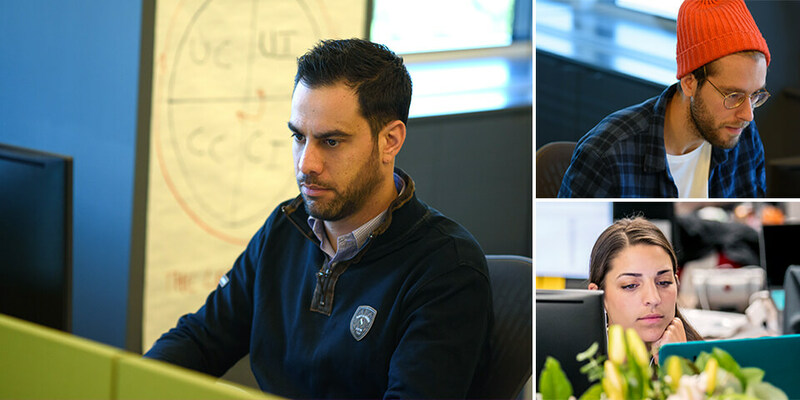 about the talented team of leaders we have here at Workable. 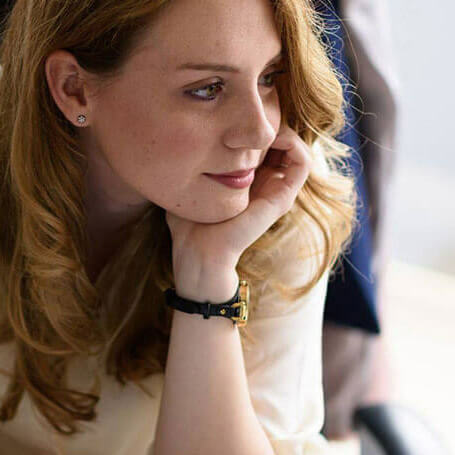 Insightful and customer-focused, Rachel brings valuable experience leading high performing sales and marketing teams. Her collaborative and analytical approach helps develop, promote and maintain our positive team culture. Georgios oversees the customer acquisition funnel from top to bottom, ensuring that everything works together seamlessly. His team's overall goal is to grow our sales pipeline with qualified prospects who ultimately become loyal customers. 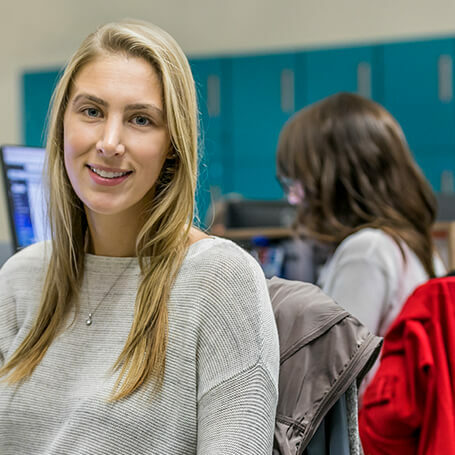 A keen problem solver, experienced at working in deadline-driven environments, Becky runs Sales Operations. Working closely with multiple teams in Boston (USA) and Athens (Greece) she investigates and implements new systems. 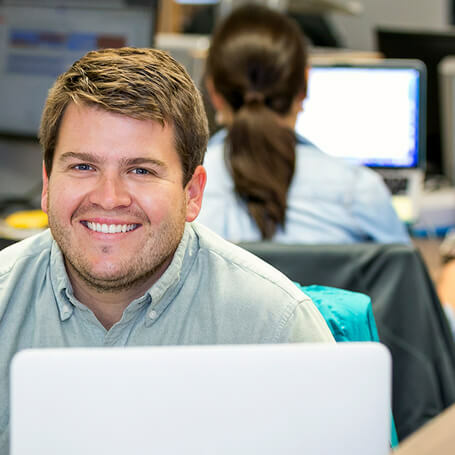 To connect customers with Workable, Mike focuses on developing actionable skillsets for the sales team and is constantly thinking about the customer experience. He comes to Workable with a breadth and depth of experience in growing global sales teams and lives by the philosophy to always grow, in all ways. to understand us, as we get to know you. Ask questions, relax – and enjoy. Having reviewed your CV or application form, we’ll set up an informal call with our Recruiting or Hiring Manager. They’ll ask about your current role, your skills and expectations, what motivates you, and how you see your career developing. All candidates start this stage by completing a 25-minute General Aptitude Test (through Skype or in one of our offices). If you’re applying to join as an SDR, we’ll ask you to prepare for a short role play. You’ll be sent a briefing in advance and will have a few days to research and familiarise yourself with the scenario. Using Skype you’ll act out the 10-minute role play with our Sales Development Manager. You’ll be able to discuss your approach and ask any questions in a follow-up chat with them directly afterwards. This exercise will give you a good feel for how we work and the context we operate in. There’s no right or wrong approach. 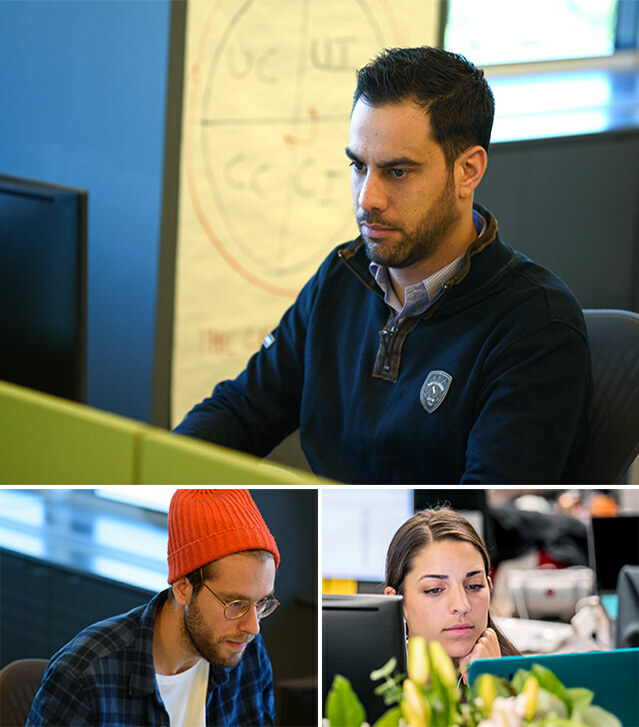 We’re interested in how you interact, communication skills, flexibility and creativity. If you’re applying for an Account Executive role, you’ll take part in a phone call with our VP of Sales. They’ll want to understand in more detail your professional experience, skills, motivation and ambitions, and if our needs and expectations match. The final stage in the process, this face-to-face interview is with one of our Executive Team. They’ll explain more about us as a business – how we operate, our structure, our vision and our culture. We’ll let you know our decision as soon as we can. Whatever the outcome, we’re happy to share our feedback with you. We know how important it is for your development.